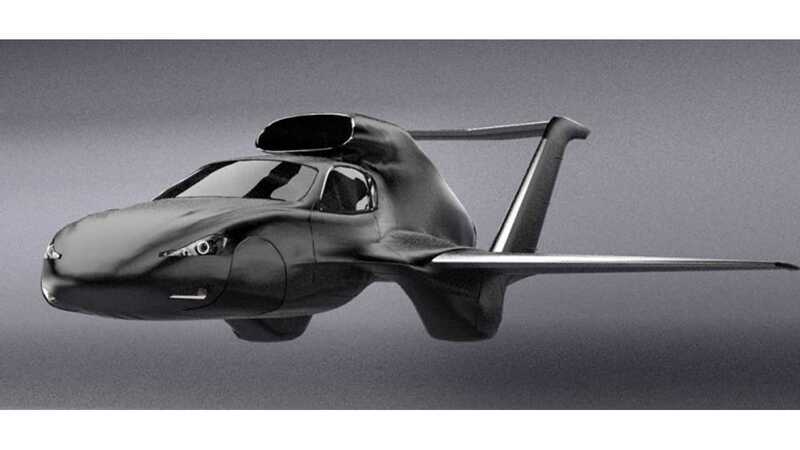 GF7 Is The Electric Flying Jet Car Of The Future? 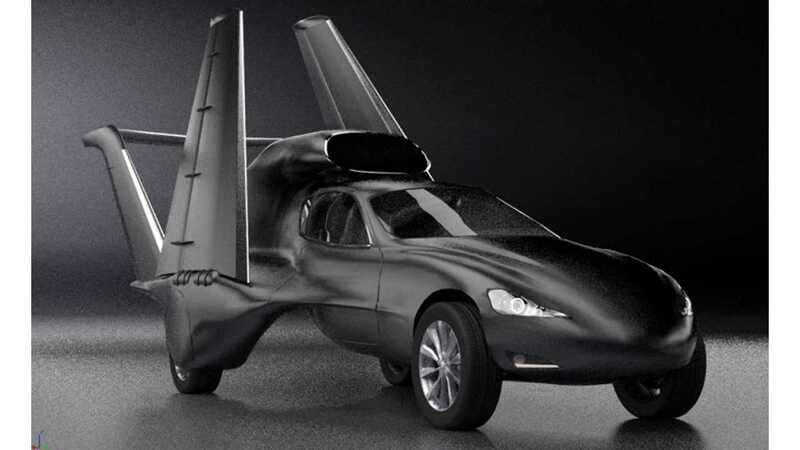 Designer Greg Brown and engineer Dave Fawcett (which at Airboss Aerospace engineered the Viper, the Maverick and Javelin jets), unveiled in May drawings of the flying plug-in hybrid car called GF7. 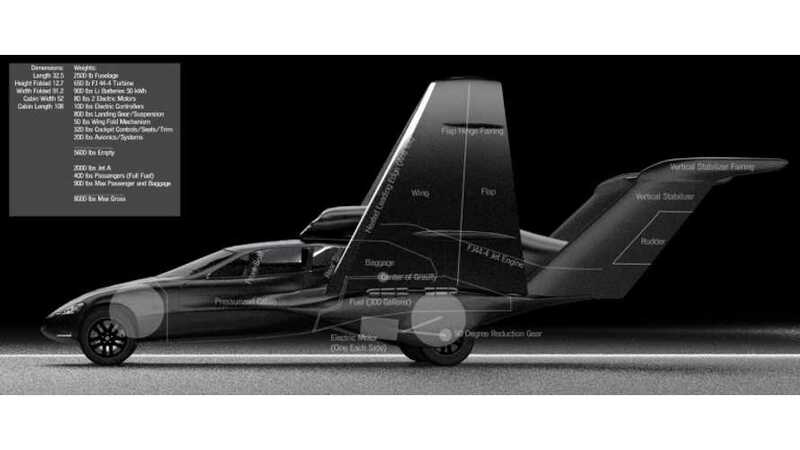 On the ground, it will be an unusually odd looking electric car, but if you find a proper 2,500 ft (760 m) long runway, GF7 can transform into a jet aircraft and reach 38,000 ft (12,000 m) flying at speeds up to 550 mph (885 km/h). This is only a concept, but the first prototypes could be built in four years. GF7 will have four seats and, with 50 kWh battery pack, can drive on the ground for 80-120 miles. Top speed should be approximately 100 mph, while acceleration from 0-60 mph is in range of 7-12 seconds. In the air, the jet engine will enable it to recharge the batteries, so in theory it could be possible to go from one city to another in the fastest possible way, without any stops or delays. Range in the air will be 700-1,000 miles (up to 1,600 km). However, price remains the main barrier - from $3 to $5 million plus the cost of obtaining a pilot's license.